Wu style tai chi is the second most popular style in the world. It was created directly from Yang Style Tai Chi and as such is the largest variant of the Yang style. However, unlike most traditions in Yang style Tai Chi, most Wu tai chi schools emphasize small, compact movements over large and medium-sized ones. The Yang and Wu tai chi styles, with all their variations, encompass the vast majority (80 percent or more) of all tai chi practitioners. This is an extraordinary opportunity to learn the Wu Style Tai Chi form from the only known lineage holder of Wu and Yang style tai chi and Taoist meditation teacher in the West.If you have ever wanted to learn tai chi, this summer is the best time! The Wu Style Tai Chi Long Form that Bruce teaches was developed by Wu style co-founder Wu Jien Chuan. 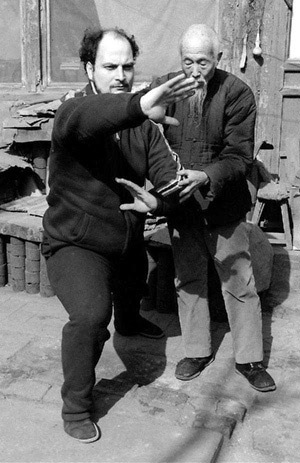 He personally taught it to Liu Hung Chieh, who taught it to Bruce. Bruce developed his Wu Style Short and Medium Form from this Long Form with the encouragement of his teacher Liu. Prices are marked as Early Bird Special (10% off) until April 25! So don’t delay!